There are basically only two types of Illinois dental plans that you need to concern yourself with as a consumer. These two types of dental plans are Dental Insurance and Discount Dental Plans. There are big differences in these two types of plans that you MUST be aware of before you buy one and then discover that you really needed the other. Let’s take a look at the pro’s and con’s of both plans. Dental insurance is what most people think of when they’re looking for a dental plan. This only makes sense because most of our other types of protection policies are insurance. Health insurance, car insurance, homeowner’s insurance, etc. #1. It’s familiar. In other words, the word “insurance” triggers a comfort mechanism in your mind because it’s what you’ve become used to over the years. This is completely normal because there wasn’t even anything else available until around 15 years ago. #2. Can be bought as an individual or family dental plan. #3. It’s designed to provide preventive care, such as cleaning, fluoride treatments and other basic care that could cause bigger problems later on. #1. It does NOT cover pre-existing conditions. This is a big issue! A full 70% of Americans are estimated to not have any type of dental care and when they do go to see a dentist it’s because of an existing problem, such as a toothache, Gingivitis, Dentures, Braces or other immediate need. Dental insurance will not pay for ANY of these issues if you already had them when you bought your policy. #2. It does not begin to pay for any part of your pre-existing conditions until you’ve gone through a one year waiting period and even then, you’ll only receive around 10% coverage initially. #3. It’s expensive. 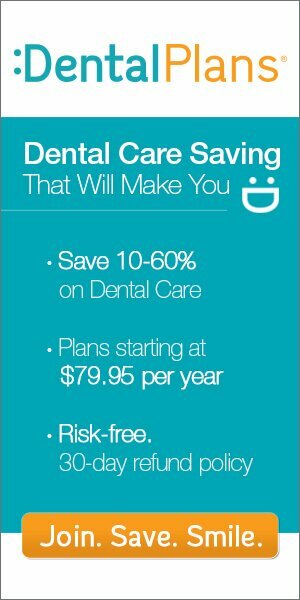 For any type of “decent” dental insurance plan, you’re looking at $50.00 per month for an individual and as much as $100.00 per month for a family plan. There are some very cheap plans being passed off online right now as being a solution for your needs. I urge you to look very closely at the policy EXCLUSIONS before you buy one of these. The exclusions are things that are not covered by the plan. I think you’ll be shocked when you see the truth. #4. Annual deductible must be met before coverage begins. #5. Co-Pays are necessary in most plans at the time of your visit to the dentist. Discount dental plans are a very popular alternative to insurance. These plans have only been around since apx. 1992 and have slowly become recognized as a legitimate force in the dental care industry. #1. Pre-existing conditions are no problem. Since these plans are not insurance you can be seen for most of your dental care needs. #2. Can be bought as individual or family dental plan. #4. Provides for your dental care needs right away by offering discounts as high as 60% on certain procedures. #1. The only major exclusion is if you’ve already begun treatment for a condition with a dentist and then joined the plan and went to a different dentist to have the work completed. In this case you would not receive a discount, even if the procedure was normally included. #2. You must pay for your dental care in full each time you visit the dentist. This is the incentive for the dentist to join the network. They don’t have to wait for their money. This shouldn’t be an issue though if you need to be seen immediately because dental insurance wouldn’t cover you anyway if you didn’t already own a policy. Therefore, you would have had to pay 100% before, but now you get a big discount. #3. You must visit a participating dentist. Once again, this is no big deal. These dentists and specialists are the same men and women that you may have seen in the past. They simply saw the benefits of joining a discount plan network. As a matter of fact, your current dentist (if you have one) may already be a provider. As you can see, Discount Dental Plans are the way to go, especially if you or someone you love has an immediate need of dental care. By joining a discount plan today you can normally be seen within 1-3 days. Don’t put it off any longer. Get more information about discount dental plans today! You can get more information about discount plans by simply entering your zip code in the light blue box above or give us a toll free call at 1-855-214-7725 Right Now.